Hello to all the Archer’s Aim followers. 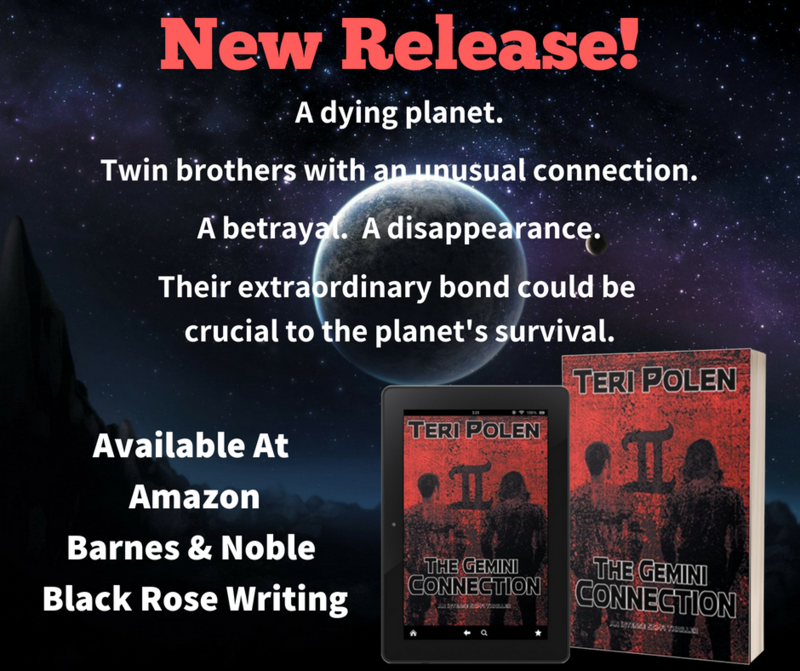 Today, I have the distinct pleasure of hosting author Teri Polen with her newest science fiction novel. Take it away, Teri! Thanks so much to P.H. for having me today! When I was in middle school, a friend and I read everything we could find on dream interpretation – not that there was much to find on this subject in our small town, and the internet was nonexistent at that time. Dream dictionary in hand, we attempted to analyze our own and each other’s nocturnal visions. The findings were basically nonsensical and gibberish, but amusing to two 13-year-old boy crazy girls. As I mentioned, it was a small town, requiring us to create our own entertainment much of the time. My husband and I are polar opposites when it comes to dreams. If he even remembers his, they generally involve everyday types of mundane activities, whereas mine tend to be wildly bizarre, disjointed, and quite enjoyable. Unfortunately, I don’t seem to be quite as creative in my waking life. Dreams can be both fulfilling and inspirational, allowing the dreamer to act out their fantasies, travel to foreign destinations, and even relive wonderful memories. But what about nightmares? When I was very young, on the first day of winter for three consecutive years, I had the same nightmare about a bear chasing me down a narrow mountain road that had a precarious drop-off on one side. What that was all about, I couldn’t begin to tell you. Maybe for some reason I dreaded the coming of winter? Run of the mill nightmares may lead to insomnia, and continuously disrupted sleep can result in increased stress, irritability, and lack of focus. Extreme nightmares can be terrifying and realistic – some may be the recurring variety, and the effects can be severe, leading not only to insomnia, but also high blood pressure, congestive heart failure, diabetes, and other ailments. My new young adult sci-fi/thriller, The Gemini Connection, in set on Tage, a dying planet. Tage’s scientists work tirelessly on its survival – they can’t afford any distractions, because millions of lives depend on them being focused on their jobs. One of my main characters, Evan, is a Mindbender. He travels into the minds of others to locate buried memories, connect ideas and concepts, and battle recurring nightmares. Below is an excerpt giving you a glimpse into one of Evan’s work days. He and his work partner, Syd, are in the midst of battling a beast in a nightmare. The blurb for the book follows. I sailed through the air again, keeping my distance from the sharp tips of the two horns, and managed a solid strike to the top of its head between them. It floundered, the screeches growing weaker, and movements sluggish as liquid spilled down the beast’s face. As the creature slowed, the surrounding light faded to more of a blush color. She nodded that she’d heard me, then somersaulted behind the goat-demon to get out of its path. At the same time, it lurched forward and slipped in the liquid gushing from its wounds, tilting precariously backwards. Toward Syd. Its razor-sharp horns on a direct collision course with her body. There was no way the goat-demon would miss her. Without question or hesitation, her hand immediately shot to the cuff strapped around her left wrist and pushed a red button, expelling her from the nightmare. The creature landed hard where Syd had been only seconds earlier. I exhaled in relief, but it was short-lived. I still had to deal with one seriously perturbed goat-demon. On my own, with no backup. The beast struggled to rise, unsteady on what was left of its legs, determined not to be banished so quickly. It seemed to have gained a second wind, and now there was only one target. I needed to move fast. My hand reached for the dagger strapped to my belt, and I groaned in annoyance at the empty sheath. It must have fallen out when I’d landed. I’d stressed to trainees that a backup plan may save their life, and they should always keep other options in mind. Especially when finding themselves in situations such as this. Tightening my hand around the iron mallet, I propelled myself into the air once again. The beast had managed to stand, but instead of flying over him, this time I hovered just above his head. His arms sliced through the air trying to reach me, but I was pretty agile when it came to the flying thing, and managed to roll and twist around his blows. I drew back the mallet and swung with everything I had, connecting with the goat-demon’s right horn. It shrieked, but the impact with my mallet had nearly ripped the horn from its head, and I readied myself for another strike. I pummeled it once more, wrenched it off the creature’s head, and maneuvered around to the other horn when the goat-demon tried to shish-kabob me. I increased my speed, flying faster around its head in a random pattern, keeping my movements unpredictable. The com unit crackled in my ear as Charlie, who was still in the lab, checked my status. No time to talk, if my plan was going to work. An attack wasn’t as difficult now, as the monster only had a nonthreatening stump protruding from its head. With the detached horn still clutched in my hand, I faked a turn to the left, rolled to the creature’s right side, and stabbed its eye with the finely-honed appendage, shoving it in until it would go no further. Then I dropped to the ground behind it. Its wails pierced my ears and echoed off the walls, but I never let my guard down. Sometimes nightmares were surprisingly resilient and recovered quickly. That didn’t seem to be the case with goat-demon, as its gray, hairy body crumpled and folded in on itself, becoming smaller and smaller until it gradually disintegrated, extinguished with a final whimper. Shoving the iron mallet back into my belt, I bent over and rested my hands on my knees, gulping in deep breaths. I felt like collapsing myself, but needed to begin my exit sequence. For the month of July, the eBook is on sale for $4.99 on Amazon! Thanks to Teri for sharing her work. I’ve got this one on my TBR list. If you have a few minutes, click over to one of the book links and have a look at this book and share it with other readers while you’re at it. Thanks so much for hosting me today, P.H. – a pleasure to be here! You are welcome, Teri. Best wishes with the new book! Thanks, Craig – that’s actually in the first few pages of the book. Jumps right into the action. Thanks wild, Staci! Maybe you developed some kind of mind link or meld after all these years, lol. My hubby would probably never sleep if he shared my dreams – far too strange for him. I kind of feel like I could do a freaky story with that plot device. Sounds like something from Vanilla Sky! I’m fascinated by dreams. My hubby and I are kind of like you and yours. He rarely remember his dreams, but mine are extremely vivid. Your dream about the bear would freak me out as I have a bizarre fear of bears, LOL. I really enjoyed The Gemini Connection, Teri. Wonderful characters and an excellent plot. Wishing you many more sales and reviews! Thanks, Mae! Last night I dreamed my youngest son was able to move his consciousness to a new body once the old one had expired. I was showing him where his old body was located, while in the background, the pastor from our church was repeatedly dropped from the sky. Have no idea what any of this means. But it sure kept me entertained while I slept. Hyper existential feel to that one! Check out the new release from Teri Polen featured in this post from the Archer’s Aim blog. Terrific excerpt, Teri. Thanks, PH for hosting Teri. 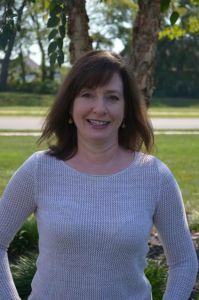 Happy to have Teri on the site. Fabulous to see Teri here with her new book. It’s been great to host her and the new novel!